Metal 3d printing is becoming the backbone of the 3d printing industries. This technology is being used in so many industrial applications, listing a few would be a difficult task. There are many reasons why this technology is the prime favourite and lifeline of many industries. Ever thought that why you are facing drastic material loss in your manufacturing and rapid prototyping services? The reason behind this is pretty simple, the manufacturing process. Not all industrial manufacturing assembly and methods are the same and have different efficiency. The metal printing is among the most cost-effective and optimized process which saves you a from a huge wastage of material and other resources. The reason why this is such a beautifully efficient method is that the way of its operation. The execution of this process is in a layer by layer approach. So it takes only that much of material which is actually needed. In many processes, a huge block of metal is trimmed into the actual object which results in higher metal wastage. Designing metal art pieces are really easy now with the help of metal additive technology. 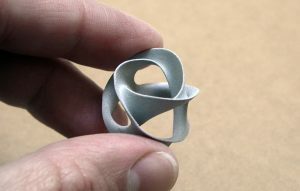 By higher accuracy and fine-tune machines, you can turn your ideas into solid metal reality in a very short time slice. We love this printing process because it is fast and produces more quality outputs. If you are also planning to have something made up from the metal additive process, there are many 3d printing service Australia companies which offer amazing services for your every idea. Just search for online 3d printing and you will find many options for your artwork. Yes, this is the single step process where you don’t need to switch between multiple assemblies frequently. 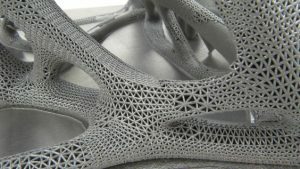 As the design is perfectly designed using CAD, the machine can print the whole structure in a one go without any delay. This is one of the advantages, why people prefer metal additive process over any other traditional option. People reading this post from Australia, do you know that your region is amongst the largest emerging 3d printing hub with amazing rapid prototyping services Australia companies. Speed is money and every industry know this. 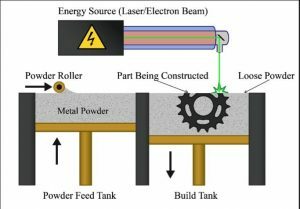 Metal additive process is extremely fast when it comes to delivering the final product as compared to other traditional methods. This is the reason why it is the king in the bulk production and retailing sector. Love this technology? execute your idea into a solid metal from any of your favourite 3d printing service Melbourne workshop.